Today is the 12th Sabbath of the annual Torah cycle: parashah (Torah portion) Vayechi / And he lived, Gen 47:28-50:26. Read Genesis 47:28-50:26 at Bible Gateway. This week’s Torah portion forms a chaistic structure. I have included the markings (s for stumah and p for p’tuchah) for the paragraph divisions (see the teaching tools of Scripture) so that it can be seen that the paragraph divisions often reveal the chiastic structure. 2a) Gen 50:22-26 (p), Joseph’s request that his bones be taken up from Egypt. 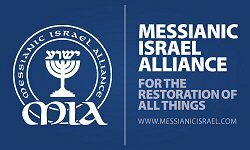 The central axis is prophetic of the coming of Messiah, as Messiah’s name, Yeshua, means “salvation” in Hebrew. Israel is prophetically blessing his seed, and at the center of that blessing, is the blessing over Yeshua, the Seed of Israel and the Seed of Promise, and that Israel and Israel’s seed will wait upon the LORD for His promise of His coming.